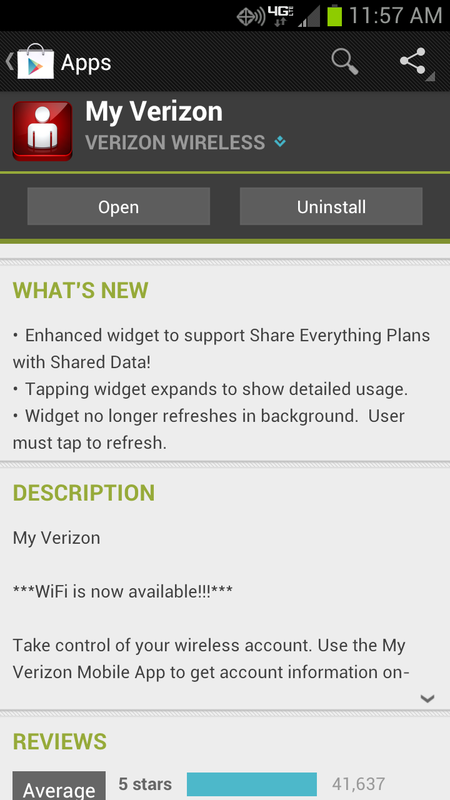 Fans of the My Verizon data widget, go hit up the Play store, as Verizon updated it today with an “enhanced widget” to support their new Share Everything plans. The widget had previously been killed off while Big Red worked on a new version that was compatible with shared data, so folks without unlimited plans will surely be glad to see this little guy back in action. We should point out that the widget will also no longer refresh itself in the background – you have to tap to get it to refresh.